The Aligarh Muslim University (AMU) is to issue very soon, i.e., in 2019, AMU Notification to invite the Application Forms from the students for admission into Post Graduate Courses; i.e., M.A. (Hons) / M.Sc. (Hon) / M.Com. (Honors) and M.Ed. Stream. The Aligarh Muslim University (AMU) would bring QUICKER UPDATES in regard to Online Registration / Offline Registration along with the intimation to download the Information Brochure for the Academic Session (AS) 2019-20. The students longing to seek admission into different streams of the Post Graduate Programs offered at Aligarh Muslim University for the Academic Year 2019-20, are hereby advised to stay in touch with us through our Website so as to remain updated in respect of the same. B.A. / B.Sc. / B.Com. / B.Th. / B.Sc. (Agriculture Degree) prescribed as the Eligibility Requirement for various Courses of Studies Three (03) Years Degree Courses under 10+2+3 Scheme / System of Education. B.Ed. Examination with at least 50% Marks in the Aggregate Theory of B.Ed. Papers. Departmental Admission Test followed by Counseling. Bachelor in any Discipline with, at least, 50% Marks in Aggregate. Aligarh Muslim University is likely to conduct in June 2019 the Departmental Admission Tests for the students. Departmental Admission Test (DAT) for admission into M.A. (Honors) / M.Sc. (Honours) / M.Com. (Hons) Course. The Result of the Departmental Admission Test shall be followed by the prescribed AMU Admission Guidelines. Admission into M.Ed. Program shall be based on the Departmental Admission Test and Counseling. Aligarh Muslim University might also like to display the Waiting List / Chance Memo List depending on the availability of the Seats for admission in the Discipline. 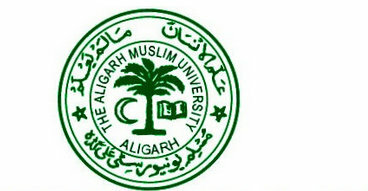 Aligarh Muslim University shall upload the Admission Prospectus on the University Website. However, the candidates might obtain the Information Brochure in person by making Payment at AMU Premises. For Courses where the Application Form is to be filled ONLINE, the Candidates have to fill the Application Form directly on the Website and then take a print out. For Courses where the Application Form is to be filled OFFLINE, the Candidates have to download the Application Form and then fill in it manually. Online Payment through Internet Banking / Credit Card / Debit Card. Click here to download AMU Admission Prospectus / Information Bulletin for the 2019-20. Sir please tell me I did not submit application form how can I get my hall ticket of m.ed? Sir please provide the details of BA. Reg. form dated. Dear Sameen Sissiqui, Keep some patience because MA geography 2018 AMU admission form will be started later and requirements regarding MA admission 2018 will be mentioned in Information Brochure 2018. So, please keep in touch with us. I am interested in taking admission in Msc biotechnology can i know the information about its entrance exam followed by the admission procedure. M.Sc/M.A (mathematics) ka admit card ka aaega 8 June 2017 ko xam hai abhi admit card nhi aaya hai…..
Dear SHARUK KHAN , The AMU will issue the Admisison Form for MA Urdu Course on the official website of University and Stay tuned with us to get relevant information. Sir I want to know the the entrance form process of MA economics .